According to the Mirror, Steven N’Zonzi is holding out for a move to Arsenal but we’ve so far been unable to strike a deal with Sevilla for the £35m-rated midfielder. Arsenal have been strongly linked with a move for N’Zonzi as Unai Emery has been tipped to bring in another central midfielder despite already signing Lucas Torreira and Matteo Guendouzi this summer. We’ve seen Santi Cazorla and Jack Wilshere leave the club while the long-term future of Aaron Ramsey is in serious doubt as contract talks drag on so the Arsenal boss is seemingly hoping to strengthen his options in the middle of the park before the window closes. 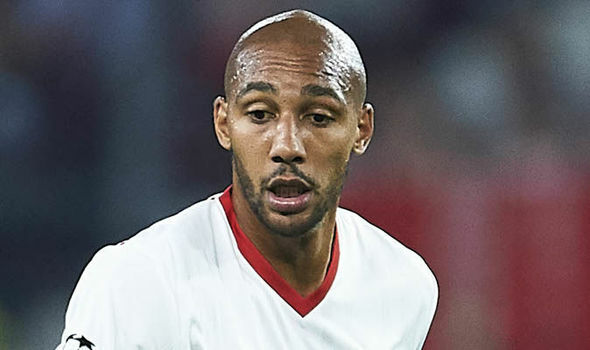 The Mirror reported last week that Arsenal chiefs are hoping to secure a cut-price deal for N’Zonzi but Sevilla have so far demanded the full value of his £35m release clause, despite the player making it clear he wants to leave. The newspaper are now citing a report from Gazzetta dello Sport that claims N’Zonzi is stalling over a potential move to Roma as he’s holding out for Arsenal to strike a deal for his signature. N’Zonzi, according to the report, is being offered £2.6m a season by Roma but is hoping Arsenal are willing to meet his £3.5m a year wage demands if we manage to get a fee agreed with Sevilla. “At the moment I am very happy with the players who are with here with us. There are more coming; Nacho Monreal, Lucas [Torreira] and [Granit] Xhaka to start to play some minutes on Saturday. The 29-year-old has previous experience in the Premier League having played for Stoke and Blackburn so he wouldn’t need a lot of time to adapt to life in England if Arsenal did sign him. Also, N’Zonzi is 6ft 5in and we could certainly do with some height in midfield as Torreira is just 5ft 6in so I’d be pleased to see us signing the player over the coming days. However, I don’t see Arsenal agreeing to pay £35m so Sevilla will need to lower their demands if a deal’s to be done.